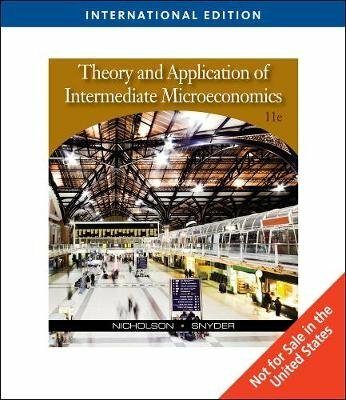 THEORY AND APPLICATION OF INTERMEDIATE MICROECONOMICS, INTERNATIONAL EDITION offers an exceptionally clear and concise introduction to the economics of markets. This proven text uses a managerial focus and includes relevant applications and strong examples, with an algebraic approach, and emphasizes activities that allow you to learn by doing. Your purchase also includes two time-saving resources: access to InfoTrac (R) College Edition's online university library, and online study tools through Economic Applications! With Economic Applications, you'll have online access to study and review materials that will help you succeed in the course, and InfoTrac College Edition lets you save time, save money, and eliminate the trek to the library. Simply log in and access a library of more than 5,000 academic and popular magazines, newspapers, and journals.